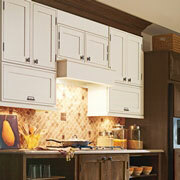 Bring your customer’s kitchen remodel project to life with a professional kitchen designer at ProSource® of Mokena. Our goal is to serve you and your customer throughout the entire project, which means offering the highest quality products and materials at the best wholesale prices. Your success with your customer and their kitchen remodel is our top priority. 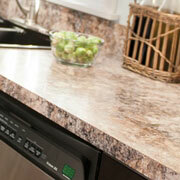 Whether your customer’s kitchen needs a complete makeover, or they want to replace a few features, we can help. Visit our Mokena showroom and get started on your project today! Kitchen cabinet finishes and wood types wield influence over the mood and feel of the entire space. Whether you go with a classic, traditional, or modern style or type of cabinet, we can help you find the perfect fit for your kitchen. 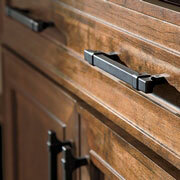 You can’t have kitchen cabinets without cabinet hardware. ProSource of Mokena offers plenty of options when it comes to customizing your cabinets with handles or knobs and accessorizing to match the rest of your kitchen. One of our design experts at our Mokena showroom will gladly help choose the best option. Kitchen countertops tend to pull the entire space together. Whether it be a family meal or a discussion with a close friend, people rely on counter space. You’ll find an assortment of countertop materials like quartz, granite, and a miscellany of blended or mixed styles at our showroom in Mokena. The Kitchen sink is a key feature in any kitchen. 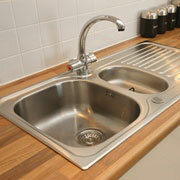 Whether you’re washing pots and pans or rinsing out a single glass, you cannot go without a great sink. We provide our trade pros with single and double bowls options alongside custom design opportunities. 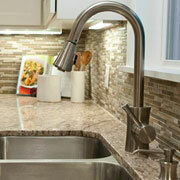 Every sink needs a faucet, and our assortment of kitchen faucets at our showroom in Mokena may surprise you. Whether you want a single standard faucet or a double faucet with a spray function, we can help.